Established in 2016, Building Migrant Resilience in Cities (BMRC-IRMU) is a research partnership and a multi-sector collaboration. It draws on over 20 years of experience in bringing together a range of key actors working on issues of immigration and settlement through CERIS, a leading Ontario network of migration and settlement researchers, practitioners, and policymakers. Our unique initiative explores the concept of social resilience to examine how institutions can facilitate migrant settlement in urban areas across Quebec and Ontario. We are generating new knowledge for academic debate and discussion that will be made readily available to decision-makers and practitioners who strive to enhance migrant settlement. Multiple activities are being carried out to address our overarching research questions, and impact the lives of migrants. From a research perspective, our activities contribute to the growing field of migration studies, by incorporating and evaluating a resilience lens into the research. We are comparing the political, socio-economic, and individual factors that affect how migrants settle in different local contexts. We are documenting how organizations and institutions contribute successfully to the strength and resilience of migrants as they settle into new lives in Canada. We are using the data and findings to pilot evidence-based strategies that can work in diverse contexts to foster healthy and successful settlement. We are working together to develop a model of social resilience for successful migrant settlement that can be used in academic discourse, policy development, and community practice. We are training emerging migration researchers, policymakers, and practitioners that will be influencing, making decisions on, and implementing ongoing and future work related to migration in Canada. We are developing a self-sustaining and bilingual research network that can respond to changing migration trends and issues now and in the future. Resilience is a term with many meanings and understandings. Our conceptualization of resilience recognizes its contested nature even as we argue for its value as an overarching concept in migration research.. 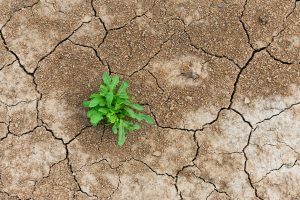 Resilience that stems from notions related to recovery from challenges or changes can be psychological, physical, environmental, or communal. Our work draws on a social resilience approach that acknowledges the distinct characteristics of vulnerable groups in specific contexts. This approach is particularly relevant for understanding migration. Social resilience views adaptation as a dynamic process in which overcoming one challenge often boosts the ability to take on future challenges. In this way, understanding resilience can identify factors that improve settlement outcomes. Many of the questions that we ask daily while working in the migration and settlement sector come directly from a resilience perspective. Why do certain migrants succeed economically while others encounter more challenges? Why do some economically successful migrants still feel socially isolated or alienated from Canadian society? Why do particular migrants do better than others even when compared to their peers from the same background? Our research explores resilience in a broad sense that goes beyond economic success, and poses the question of how migrants develop capacities to overcome settlement challenges. We also pay close attention to views of resilience among key actors in settlement, such as policymakers, service providers, employers, and migrants themselves. Deeper understanding of resilience is crucial for enhancing migrant settlement. If we can pinpoint factors that improve resilience among migrants, particularly how the actions of social institutions influence resilience, we may be able to devise settlement strategies that facilitate settlement and eventual integration into Canadian society. We work in cities across Quebec and Ontario. The two provinces have different immigration histories, institutional infrastructure and migration policies that allow us to compare and contrast migrant resilience in distinct environments. The social security systems are vastly different. In Quebec, the province has control over immigrant selection and settlement while in Ontario, the federal government has jurisdiction. The provinces also differ greatly in the relationship between non-governmental organizations and the private and public sectors and their migration histories. Our initiative focuses on large and small urban areas. We work in Toronto and Montreal, two gateway cities that are the initial destinations for large numbers of migrants. In Canada’s largest gateway city of Toronto, we also investigate resilience in suburban areas in the York Region in order to provide an intra-urban analysis between downtown and the suburbs. We also study resilience in large and medium-sized cities such as Ottawa-Gatineau, Kitchener-Waterloo, and Windsor. We believe that understanding settlement in Quebec and Ontario cities can give us an in-depth understanding of the strategies that migrants use to overcome settlement challenges in municipalities across Canada. See our City Networks for more information.